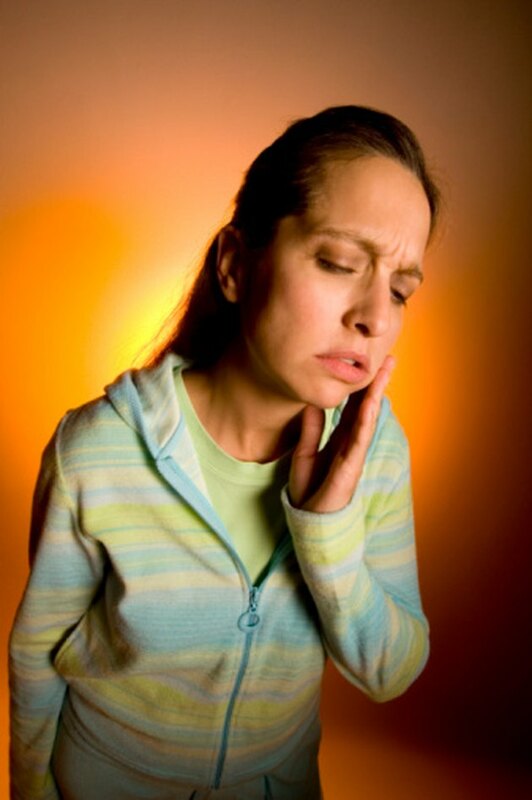 Also known as third molars, wisdom teeth typically appear between ages 17 and 21. These teeth can disrupt an otherwise healthy bite, crowding the mouth and causing other unpleasant symptoms like headaches and earaches. For this reason, it is recommended the wisdom teeth be removed before the teeth erupt, or grow in to the mouth. Wisdom tooth extraction is considered an oral surgery procedure and includes a recovery period between one week and--if you experience serious complications--up to six months. Your recovery process may mean you should refrain from exercise for a certain period of time to avoid injuring the affected tooth area. Immediately after wisdom teeth removal surgery, you will experience some swelling and bleeding. Exercise is not suggested at this time because you may disturb your sutures if you were to accidentally hit your mouth or clench your jaw during exercise. After wisdom tooth removal, your body needs time to heal. For at least 24 hours following surgery, you should elevate your head, take any necessary medications and follow your oral surgeon’s instructions. The time frame for returning to your exercise routine differs from person to person. However, signs you may be able to safely exercise include cessation of bleeding, reduced swelling in the gums and general feelings of wellness. Listen to your body. If you experience some dizziness or discomfort, wait a few more days before returning to exercise. Start slowly with low-impact exercise options like walking or using an elliptical machine. If you play full-contact sports, you may need to wait at least a week before resuming these to avoid injuring your mouth. In addition to concerns about pain while you exercise, you should also remember that you may not be able to exercise at the same level you are accustomed to. This is because you have been consuming a limited food supply, which may not give you as much energy to exercise following your wisdom tooth removal surgery. Be aware that you may experience signs such as lightheadedness and muscle weakness when exercising. You may wish to exercise at a lesser intensity until you are able to eat more solid foods. If you feel lightheaded, you should stop exercising or walk around in circles to slow your heart rate. If you are taking prescription pain relievers following your wisdom teeth removal surgery, remember that these medications can mask some of the pain following surgery. To ensure you are truly recovered and ready for exercise, you may wish to wait until you have finished your course of medication before beginning exercise again. If you do exercise and experience harmful symptoms such as bleeding, intense pain or swelling, cease exercising, seek medical attention to ensure you have not damaged your sutures or the sockets where your teeth were removed. Can I Exercise After Dental Work? Can I Work Out If I Have Whiplash?